Usually, if you buy software online, you're kind of stuck with it. But today, EA has set a new policy for games on Origin: you can return game downloads for full refunds within 24 hours of the first time you launch the game, within seven days from when you purchase it, or within the first seven days after the game's release if you pre-ordered. Whichever happens first. Just visit your order history and click the “request a refund” link next to your recent purchase, answer a few quick questions, and we’ll take it from there. The policy is effective starting today, but only in 20 countries. It'll be available worldwide within the next few weeks/by September. It's worth noting that Steam, by contrast, does not offer refunds or exchanges on games, DLC or in-game purchases. Full game digital downloads (PC/Mac) published by “Electronic Arts” (collectively Electronic Arts Inc. if you reside in the United States, Canada or Japan and EA Swiss Sarl if you reside in any other country) and purchased on the Origin Store (Origin.com and purchases within the Origin gaming application) may be eligible for a refund if we receive your request within the earlier of: (i) seven (7) days from the date of purchase, (ii) seven (7) days from the game’s release date if you pre-ordered/pre-purchased or (iii) twenty-four (24) hours after the first time the game is launched or run. For full game digital downloads that are part of a bundle, the twenty-four (24) hour time period begins as soon as one game within the bundle is launched. Once a refund is issued, you will no longer have access to the game. To request a refund, visit your Order History and select the “Request a Refund” link next to any eligible product. Complete and submit the Refund Request Form. You will get a response within forty-eight (48) hours after your request is submitted and your refund within seven (7) to ten (10) days if you meet the Great Game Guarantee refund requirements. ● If you request a refund for a product that is part of a bundle or a product that comes with bonus content, your refund under this policy may include the entire bundle of products/content, and your access to all included products/content will be revoked. Please note that dual platform products (such as one product that, when purchased, is playable on both PC and Mac platforms) will be treated as bundled content. Before you submit your refund request for bundled products/content, you will be able to see an itemized list of content that must be canceled/refunded together. You may then complete the refund request and cancel all the associated content or you may withdraw your request. ● In rare instances, refunds may not be supported for products purchased during special Origin promotions. The promotional details will explicitly state if refunds are unsupported. ● Refunds may not be supported where Electronic Arts detects fraud or abuse of the refund process. ● Electronic Arts reserves the right to revise the Great Game Guarantee Policy at any time in its sole discretion. Any revisions to the Policy will be effective immediately for all subsequent purchases. 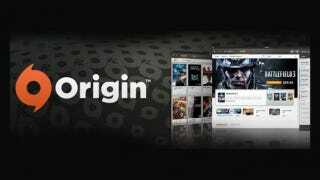 ● Purchases from the Origin Store for third-party games, packaged goods, game expansions, downloadable content, time cards, virtual currency and add-ons are not subject to the Great Game Guarantee. Please see the Terms of Sale and the Returns and Cancellations FAQ for further information regarding any potential returns and/or refunds for these items. ● If you would like to return and/or request a refund for a full game download published by Electronic Arts but purchased from a third-party retail store, contact the retailer where you made the purchase to inquire about the retailer’s return or refund policies. ● When we have received and processed your request for a refund, Electronic Arts will request the appropriate refund to the payment method used for the original order. All refunds are subject to the Terms of Sale and the Returns and Cancellations policy. View completed refunds by visiting My Cases. If your refund doesn’t appear on My Cases and the processing time for your payment method has passed, contact Origin Help. ● Please note that nonrefundable payment methods such as Boleto and SOFORT are not eligible for the Great Game Guarantee. We will inform you if your payment method is nonrefundable during checkout. ● The Great Game Guarantee is in addition to any rights you have regarding returns or refunds. Please see the Returns and Cancellations FAQ and the Terms of Sale for further information regarding your refund rights and remedies.